1 child - a son, deceased in 1991 after hit and run at 43rd and Gloria, 2 weeks in ICU at UCD, buried More…in East Lawn on Folsomn Blvd. Retired from Calif. Conservation Corp. following loss of son. Got into volunteer work at Methodist Hospital before moving to Brookings. I spent many years boating the Delta, living in Isleton so son could get through high school with less drug problems. He learned to drive on the levy roads - I've earned every wrinkle and grey hair through those years. We moved to Oregon in 1965 for the cooler climate and it helped a great deal to escape the heat of the valley. I've run the Newcomer's Welcoming Club, The TOPS (Take Off Weight Sensibly) chapter as Weight Recorder for 6-7 years, Leader for 2 years and am currently Co-Leader, Wrote the published newsleter for the Curry County Cruisers ( classic car club) owning a 1950 Chevy Original pickup and 1965 Ford Modified pick-up, newletters for TOPS, & family & friends, started the Diabetes Support Group for Curry County, Involved with the Elks Lodge 1934, and on and on. Jo Ann Sheehy Querin posted a message. 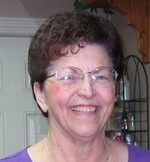 Jo Ann Sheehy Querin updated profile. View.